As my son continues his inexorable journey towards that both dreaded and anticipated first day of school, my thoughts turn to how best to introduce him to his father’s favourite pastime. If you read my profile here on SEGA Nerds, you’ll see that I credit Sonic the Hedgehog with being at the centre of my ‘formative gaming experiences’, despite the fact that the first game I ever played to completion was actually Castle of Illusion on the Mega Drive/Genesis. Ergo, despite his mixed legacy 25 years on, Sonic seems like the perfect place to kickstart what will hopefully be a lifetime of shared interest. Sonic has graced many a console during his long and colourful career, but I now find myself having to consider just which one offers the most hedgehog for the money. An authentic UK Mega Drive is a no-no because it plods along at a sluggish 50Hz and may not work with my HDTV, the Saturn has relatively little Sonic to offer and the Dreamcast lacks any official means to play those all important 16-bit classics. Hmm. After doing a little research on which games are available on which consoles, I’ve come to a surprising conclusion. It turns out that Nintendo’s GameCube sports far and away the best selection of Sonic games. I’m sure the irony here won’t be wasted on any gamer over a certain age. But remember: stranger things have happened, such as Sonic and Mario teaming up for their Olympic Games series, or the former gracing Super Smash Bros. or Super Mario Maker. The GameCube launched with this here in the UK. Let’s have look at the facts. 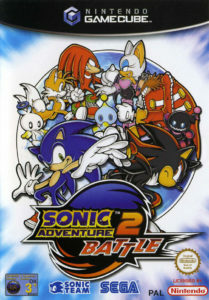 The GameCube’s already spiffing library includes Sonic Adventure DX (which itself packs a selection of Game Gear classics), Sonic Adventure 2: Battle, Sonic Heroes, Shadow the Hedgehog, Sonic Riders plus all the essential 16-bit staples via Sonic Mega Collection and Sonic Gems Collection. PAL gamers will be pleased to learn that any of these can be played in full 60Hz using either the relevant in-game options or by holding down B during the console’s boot sequence, thereby forcing the faster standard. But that’s not all. The Game Boy Player add-on allows the GameCube to play cartridges originally intended for any of the eponymous handhelds many iterations. With one of these thrown into the deal, you’ll also be able to experience full screen Sonic Advance 1,2 and 3, Sonic Battle and even the notoriously awful Game Boy Advance port of the original Sonic the Hedgehog, should you feel so inclined. Go home, Sonic Team. You’re drunk. It’s worth noting that the GameCube also plays host to a wide selection of non-Sonic SEGA games, such as Phantasy Star Online I & II, Super Monkey Ball, Billy Hatcher and the Giant Egg, Puyo Pop Fever, Crazy Taxi, SEGA Soccer Slam and Skies of Arcadia Legends, should you wish to broaden your horizons a bit. Plus Spartan: Total Warrior, Beach Spikers and others give you the opportunity to dabble in SEGA’s broad publishing portfolio, and a number of non-SEGA Dreamcast ports are also available: Ikaruga and Resident Evil: Code Veronica, for example. “But hold on”, I hear you cry “the Wii is backwards compatible with GameCube games and has a number of its own Sonic releases. Why not just get one of those instead?” The reasoning here is simple: it’s absolutley worth sacrificing the Wii’s own questionable Sonic catalogue in favour of the Sonic Advance series, which aren’t playable on the Wii without the use of risky softmods and the dark art of emulation. 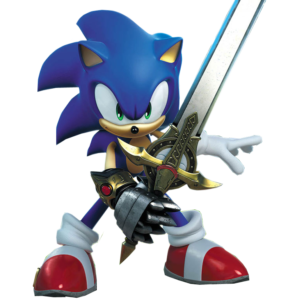 Yes, Sonic Colors was decent and Unleashed had its moments, but the less said of Sonic and The Secret Rings and/or The Black Knight the better. So, if you’re a longtime Sonic fan yourself, or indeed, looking to indoctrinate a friend or relative, the GameCube might just be a better purchase than any of SEGA’s own consoles. Plus, there’s plenty more SEGA to go at should you tire of collecting rings and popping badniks. All this talk of a Dreamcast 2 recently may have gotten many of us all misty eyed, but perhaps we’ve not been seeing the wood for the trees all these years. Maybe we had one all along.